The EVGA SC17 puts high-end 4K gaming in a slick package, but is missing just one thing. EVGA was light on specifics while demoing its first gaming laptop at January's CES, but now the graphics card maker is revealing nearly all the details. The only spec EVGA still isn’t talking about is battery life. It’ll probably be all over the place depending on use, but some sort of ballpark would be nice. Beyond the raw tech specs, EVGA is boasting about the SC17’s overclocking features, including a BIOS with a full graphic interface and mouse controls, a push-button “SuperClock” mode, and granular controls over CPU multipliers, voltage, memory timing, frequency, and GPU overclocking. 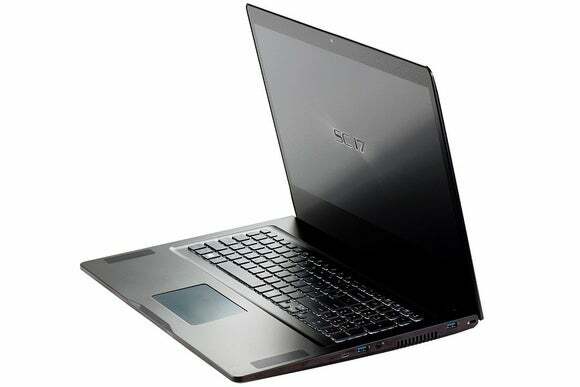 The laptop was also notable for its cool and quiet operation, even while gaming, during our CES hands-on time. There’s just one potential snag: The SC17’s 4K display does not support Nvidia G-Sync, which helps combat stutter and tearing by keeping the screen’s refresh rate in step with the game’s framerate. EVGA previously told PCWorld that it’s working on a G-Sync variant for later this year, but for now it’s a curious omission from what otherwise looks like a top-notch gaming laptop. If you’re undeterred and have the money to burn, EVGA is throwing in one of its X10 gaming mice while supplies last, along with a copy of Ubisoft’s The Division, so there’s that. 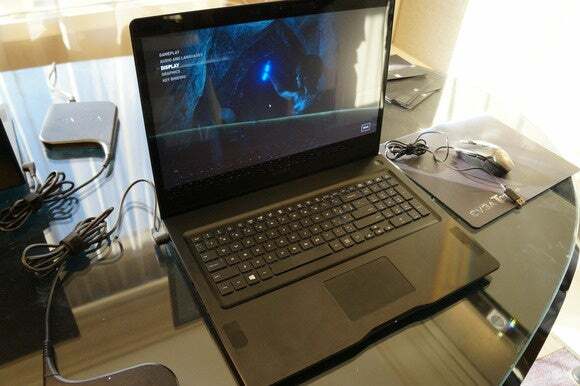 Why this matters: EVGA’s first attempt at building a PC is a big deal in its own right, but in general, laptops with 4K displays are still a rarity, and the use of unibody aluminum is practically unheard of on top-of-the-line spec beasts. It’s certainly a splashy entrance for a company whose hardware tends to live under the hood.